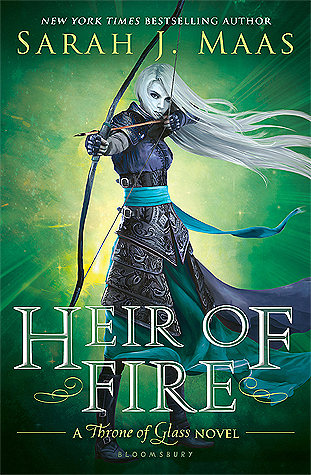 Now, before you guys start freaking out, please prepare yourself for the shock of the next statement: before reading A Court of Thorns and Roses, I had never picked up a Sarah J. Maas book. I know, I know, I'm ashamed. With her ever-rising superstardom in the YA genre, you'd think I would have already read one of her hugely popular novels. I've read quite a few contrasting reviews about this book. Some felt that the plot was slow and that Feyre's character was a failed Katniss-wannabe. Others simply adored Tamlin and his fairytale land, stunning good looks, and gorgeous manor. My opinions fall somewhere in-between the two thoughts. Yes, Feyre has her issues. She's fairly immature, self-centered at points, and her skill with a bow and arrow definitely reflects a bit of Hunger Games inspiration. However, I didn't hate her. She grew as the novel progressed, and her character definitely didn't hinder me from enjoying Maas' story. I've always been a huge fan of fantastical other-worlds as a plot setting. From Narnia to the world of faeries in this novel, it doesn't take much to make me fall in love with a magical world. I'm also a huge fan of political schemes, so the various courts and relationships in the faerie world intrigued me. I hope to see further development of the faerie world in the sequel, A Court of Mist and Fury. As for Tamlin and the romance... meh. I've heard so many readers say that Tamlin was swoon-worthy and that the romance was passionate. Passionate it may be, but well-developed? I'm not so sure. As much as I tried (and trust me, I did try), I never truly fell head over heels for Tamlin. Even the most romantic scenes left me wanting. The take on Beauty and the Beast definitely interested me, and I was glad to see that Maas takes it in a new, more original direction. You can clearly see the fairytale's storyline underlying the new plot, but the tale was still entertaining and unpredictable. Two thumbs up when it comes to Maas' style of retelling. So, I've expressed both positive and negative opinions on Maas' second series. As I turned the last page, I tried to tie my thoughts together into a cohesive opinion. 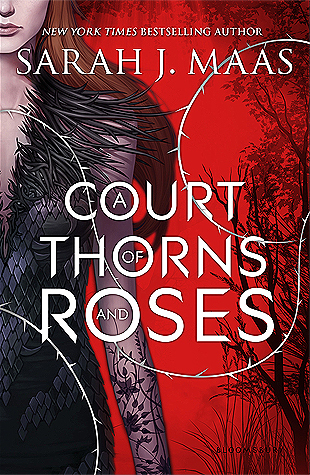 Overall, I really did enjoy A Court of Thorns and Roses. It was original and entertaining, even if I didn't love the characters as much as I thought I did. My first experience with Maas' work was a good one, and I'll definitely be checking some of her other stories out soon.